Since my days lately aren't exactly filled with a lot to do I've decided to learn to cook. I'm starting out small with appetizers and will work my way up to mastering a true Arabian home cooked dinner. After having bacon wrapped asparagus at my friend Ovey's house warming my taste buds have been craving it since I ate the first one out of the oven. I made some for Eric on Sunday night when he came home from work and we were stuffed after 5 pieces! Beginners Note: The smoke alarm, DID go off. 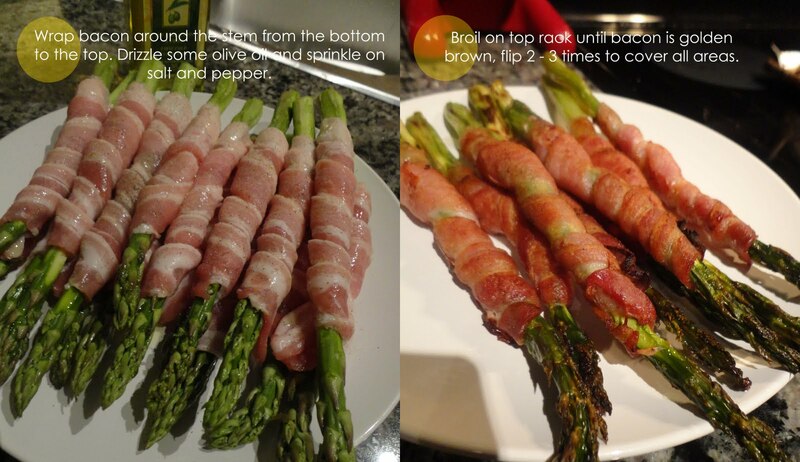 All you need: Fresh asparagus, 1 package of bacon, olive oil, salt and pepper.